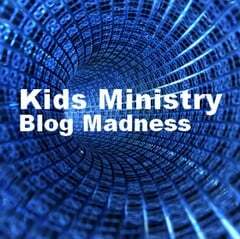 It’s time for another epic contest to see which kids ministry blogger will become a champion. You may even discover a few new blogs you’d like to follow. We will have three rounds, mirroring the NCAA basketball tournament. This opening round has closed, click here to see round 2. Then go rally support for your friends. This is all just for fun, but there will a big prize. Hint — it rhymes with my dad and has the number two in it’s name. The official announce will come in the second round. This round will close on March 19th and the top four blogs in each bracket will advance. Seed selection was ranked based on our previous Top 100 ranking plus some adjustments for recent consistency. The selection committee included only me. This was much more difficult than previous years and many good blogs just were left on the bubble. If you’re not happy with your ranking, this is your chance to prove me wrong by turning out the vote. You can also leave a comment below to offer your feedback.